We’re always looks for great additions to our team! 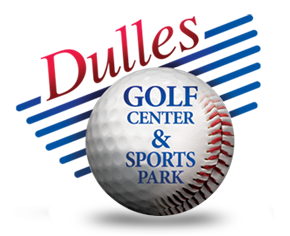 At Dulles Golf Center & Sports Park, our #1 priority is that our guests have an amazing time. And we couldn’t do that without a fun, energetic team that is committed to customer service. If you think you would be a great fit for our team, please complete the application below to be considered for our current opportunities. Are there any days or hours you are unable to work? I understand the completion of this application does not imply employment. I hereby warrant and represent, under the penalties of perjury, that all information as provided herein is true and correct. Further, in the event that I am hired and Dulles Golf Center & Sports Park, LLC subsequently discovers that any information is false or that there has been a misrepresentation or omission of a fact or statement that I will be subject to immediate dismissal. I hereby authorize Dulles Golf Center & Sports Park, LLC to conduct a thorough background inquiry verifying the statements and information on this application. This also includes my authorization for them or any mortgage company, credit reporting agency or any other party to obtain a credit report on me, a police report and all other reports that Dulles Golf Center & Sports Park, LLC deems advisable. I further hereby agree to absolutely and forever release Dulles Golf Center & Sports Park, LLC and all other companies and individuals who provide Dulles Golf Center & Sports Park, LLC information about me with respect to any claim or liability which may arise from the disclosure of such information.